Fabulous Jessie J Looking Great On Stage At 103.5 Kiss Fm’s Jingle Ball 2014! Pics Here! The fabulous Jessie J performed onstage at the 103.5 KISS FM’s Jingle Ball 2014 at Allstate Arena in Chicago, Illinois on December 18th. The Beautiful Charli XCX Performed With Iggy Azalea At The 103.5 Kiss Fm’s Jingle Ball 2014! Pics Here! Charli XCX performed onstage with Iggy Azalea during 103.5 KISS FM’s Jingle Ball 2014 at Allstate Arena in Chicago, Illinois on December 18th. Nick Jonas Performed At 103.5’s Kiss Fm’s Jingle Ball 2014! Pics Here! Singer Nick Jonas attended and performed at 103.5 KISS FM’s Jingle Ball 2014 at Allstate Arena in Chicago, Illinois on December 18th . A Special Happy Birthday To Christina Aguilera! Teeninfonet would like to wish a very special Happy Birthday To Christina Aguilera! If you would like to say happy birthday and send your wishes to Christina head to her Twitter! 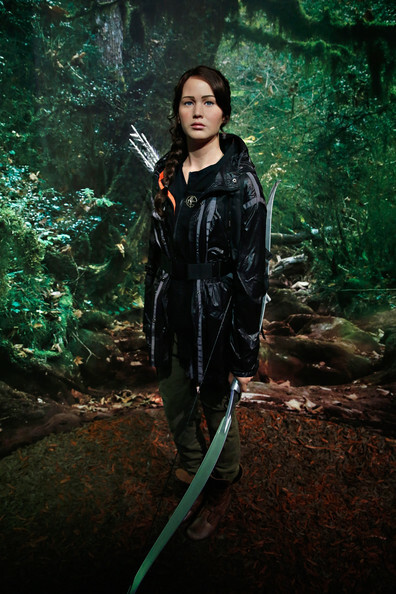 ‘Hunger Games’ Character Katniss Everdeen Has A Wax Figure In NYC! Pics Here! Madame Tussauds has a new wax figure of The Hunger Games’ Katniss Everdeen is unveiled at Madame Tussauds New York in New York City on December 18th. Nicki Minaj Visits & Performs On ‘The Tonight Show’ With Jimmy Fallon! Pics Here! 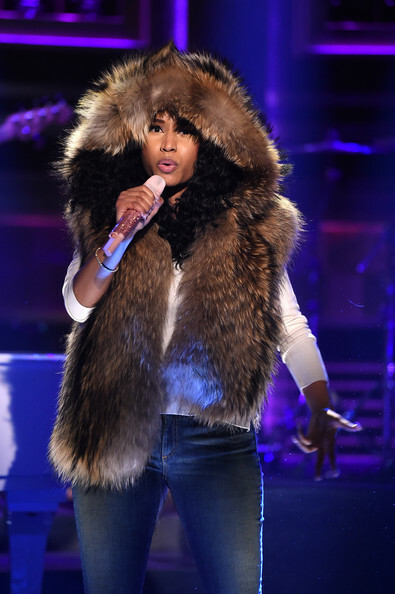 Nicki Minaj visits ‘The Tonight Show Starring Jimmy Fallon‘ at Rockefeller Center in New York City on December 16th! It will air tonight on CBS at 11:30pm. Charli XCX Is Performing On The Late Show With David Letterman! Pics Here! Charli XCX arrived in New York City were she will be performing on the ‘Late Show With David Letterman‘ in New York City on December 16th. It will air tonight on CBS At 11:30pm. Jessie J Rocked The Stage With Ariana Grande At Hot 99.5’s Jingle Ball 2014! Pics Here! Jessie J rocked the stage during her performance with Ariana Grande at the HOT 99.5’s Jingle Ball 2014, Presented by Mattress Warehouse at the Verizon Center in Washington, D.C. on December 15th. Meghan Trainor Will Perform On ‘The Voice’ Season Finale TONIGHT! On the season finale of The Voice, Meghan Trainor will be performing along side other artists – Mark Ronson, Bruno Mars and Ed Sheeran – tonight, December 16th. So grab some popcorn, a comfy seat and get ready to watch The Voice on NBC 4 9/8c this evening! Jason Derulo Was “Hot” On Stage At Hot 99.5’s Jingle Ball 2014! Pics Here! Jason Derulo hit the stage an performed during HOT 99.5’s Jingle Ball 2014, Presented by Mattress Warehouse at the Verizon Center in Washington, D.C. on December 15th. Filed Under: Celebrity Events, Celebrity Photos, Disney Star And Celebrity News, Music Tagged With: 104.7 KISS FM Phoenix, December, hot 99.5's jingle ball 2014, Jason Derulo, mattress warehouse, Music, Performed, Verizon Center, Washington D.C.